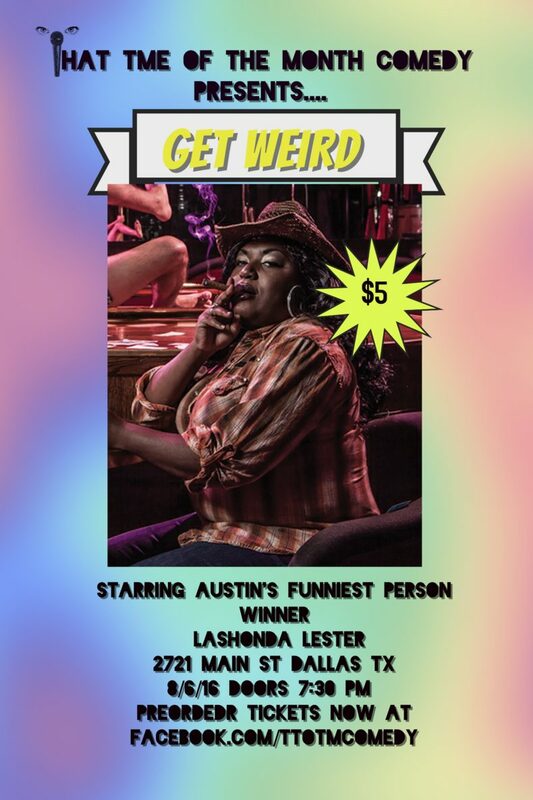 “Lashonda Lester is an Austin-based comedian and producer. Lashonda’s down-to-earth observations and casual style will make you feel like you’re hanging out with your funniest friend. She’s appeared on Nickelodeon’s NickMom Night Out and was selected as one of the top 100 comics for season 9 of NBC’s Last Comic Standing. When not performing stand-up, she’s the creator/executive producer of the biography lecture series Weird True Hollywood Tales, now in its 5 seasons.